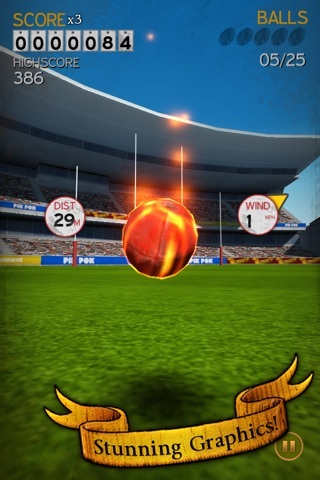 There's never been a better time to grab the number one Aussie Rules drop punt experience on the iPhone! 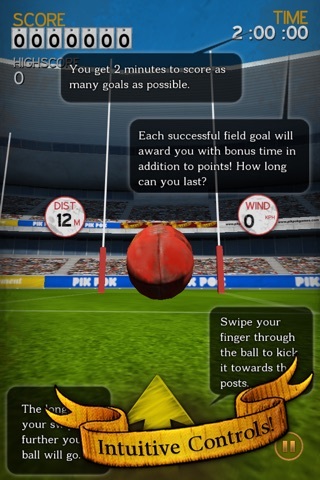 This is the ultimate kicking game for REAL Aussie Rules fans. The smell of the oval; the roar of the crowd; the thrill of victory. Will you be included with the best steel nerved kickers in the game? • Intuitive Flick Kicking: Control the angle and curve of your kick with the flick of your finger. • Realistic Oval: 360 degree wind with shifting severity. Anything from a light breeze to gale force winds must be taken into account if want to score a goal. - Sudden Death: The classic test of skill. No time limit, just keep making kicks to add multipliers to your score. - Arcade Mode: 5 kicks taken from five different positions. 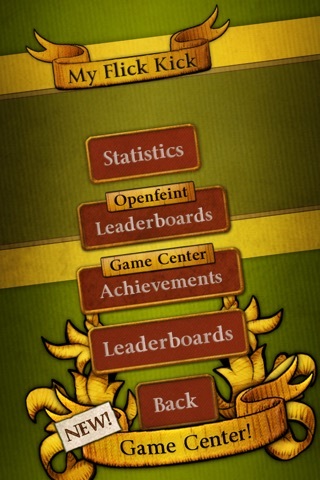 Score as many points as you can. The 5th kick at each position will award you bonus points if you make it. Each successful goal will earn you points, but keep your eyes on the wind strength and direction. Total is out of 25 possible kicks. - Time Attack: Quick Fire Flick Kicking! Make as many kicks as possible within the time limit – Don’t buckle under the pressure! 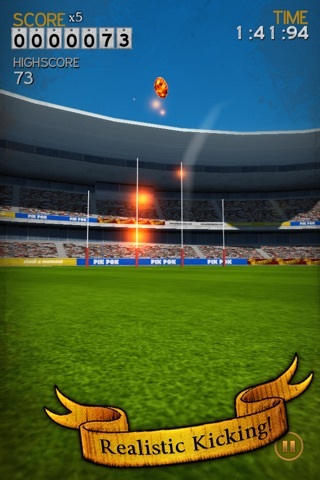 This is the ultimate Aussie Rules Challenge on the iPhone. Stand up, be counted and show your true support!! 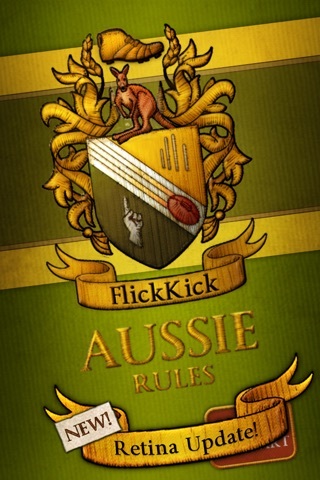 **If you like Flick Kick Aussie Rules** Check out PikPok's latest release: Flick Kick Football Legends! Golden Era football the way it's meant to be played!